The mission of the school’s Operations Team is to make teaching better and easier by directly supporting the academic program. The Academic Operations Manager (AOM) position is integral to the success of this mission, as they will directly interface with the Academic Leadership team and provide the best and most meaningful information with which to make programmatic decisions. 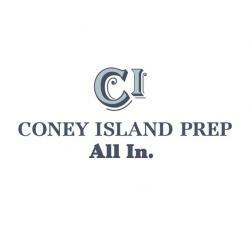 The AOM will implement and manage clear systems, revising them as necessary or needed, so that Coney Island Prep runs smoothly on a day-to-day basis. He or she will work to ensure all staff can focus on students rather than paperwork. They will oversee the academic reporting and data analysis necessary to support the highest level of academic achievement and will be primarily responsible for ensuring that programmatic guidelines for reporting and implementation are properly followed. The AOM will be hired by and report to the Director of Operations.